What is better than a delicious cup of coffee? Perhaps a cup of coffee and a good book! 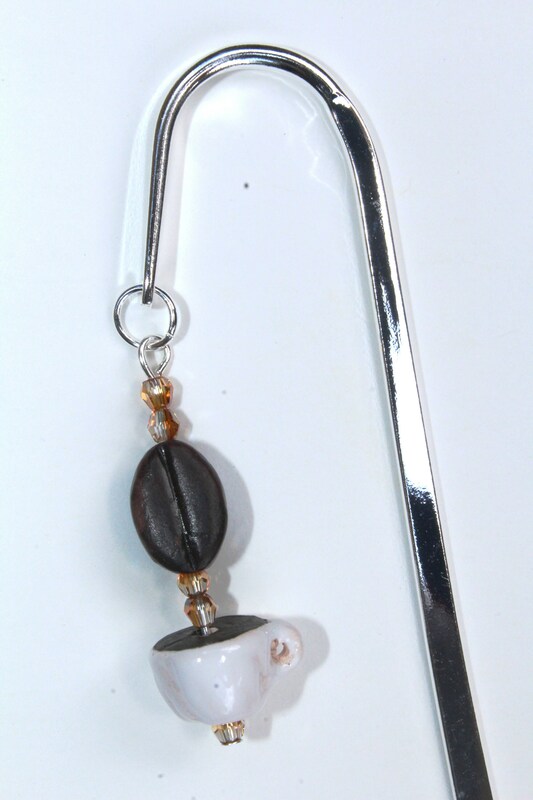 This beaded metal bookmark combines two of my favorite things...coffee and reading! The coffee cup and coffee bean beads that were used are hand painted and made of ceramic. The tiny round sparkling beads are genuine Austrian crystal. This bookmark is a wonderful, useful gift all on it's own, but consider it also with a bookstore or coffee house gift card. It would be a great way to add a personal touch to an ordinary gift card gift. 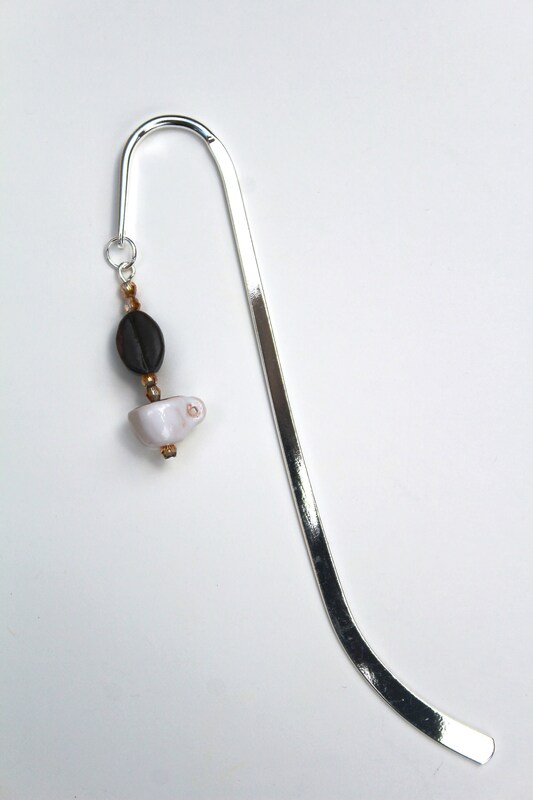 The entire metal bookmark is 5 inches long and sterling silver plated.